Flower shaped mirror, decorated with birds and animal between floral patterns. 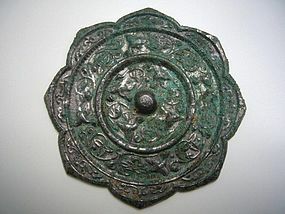 China, Tang Dynasty (618-906). Diameter 9,5 cm Excellent condition.